Thanks to their prominence in the dog show ring, Poodles have a reputation for being regal and proper. In reality, the distinct breed has a playful and mischievous attitude. They're fiercely loyal to their families, sociable, and one of the most intelligent dog breeds out there. Originally bred as water retrievers, Poodles have changed quite a bit throughout history. Today, there are three types of Poodle dogs: Toy Poodles, Miniature Poodles, and Standard Poodles. While they're all distinctively different in terms of size, they're basically the same in every other regard. Regardless of which type of Poodle you have, it's important to invest in a high-quality dog food that gives them the fuel to thrive. Proper nutrition will ensure that your pooch can maintain great physical and mental health. The exact amount of food a Poodle will need depends on a few different factors. 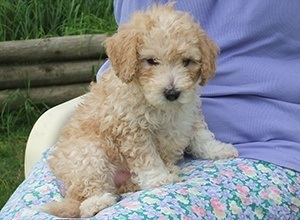 The first thing to consider is the size and weight classification of the Poodle. These pooches can be as small as 6 pounds and as heavy as 70. Another thing to consider is their lifestyle. Active dogs will always need more food to get through the day than a pup that lounges around. Senior dogs will also need less food than when they were young. It's important to monitor your canine companion's activity levels and food consumption throughout their lives. You need to adjust their daily intake to match their needs as they grow and develop. Because nutritional content is different with each food product, kibble should be measured by calories rather than volume. * Calorie requirements include all meals and treats throughout the day. The smallest of the dog breed, Toy Poodles can weigh anywhere between 6 and 9 pounds. As an adult, they're a mere 10 inches in height. With their small stature, average Toy Poodles will only need around 300 calories each day. If your furry friend is less active, that calorie requirement drops down to 240 per day. Very active and energetic Toy Poodles will need up to 465. Dogs in the next size class up are still relatively small. Average adult Minature Poodles weigh somewhere between 15 and 17 pounds. They have a height of 11 to 15 inches. A moderately active dog will require about 490 calories each day. Dogs that don't get a ton of exercise may need as little as 400. 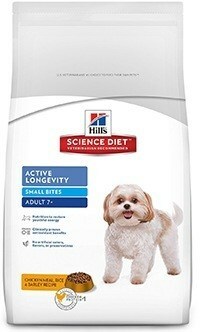 On the other end of the spectrum, highly active dogs will need upwards of 775 calories to make it through the day. The largest size class of this furry breed is the Standard Poodle. Adult dogs will fit somewhere within the 45 to 70-pound weight range. Fully grown, they have an average height of 22 inches. Average dogs that get a fair amount of exercise will need roughly 1,230 calories a day to stay healthy. Less-active pups can thrive on as little as 1,000 calories. If your dog works and exercises constantly, they'll require up to 2,000 calories. Due to the wide weight range of Standard Poodles, it's crucial that you monitor their needs and supply them with the appropriate amount of food. 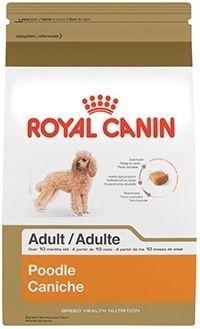 Specifically made for Poodles this kibble from Royal Canin is filled with beneficial ingredients. It has a high protein content of 28% to ensure strong muscle development. The formula also contains DHA to help strengthen their minds at an early age. To make your dog's skin and coat soft, the dog food also includes fish oil. The formula also contains ingredients like Vitamin B12, Vitamin D3, Vitamin E, Biotin, and more for additional support. The unique kibble shape is designed to help keep your dog's teeth healthy throughout their lives. 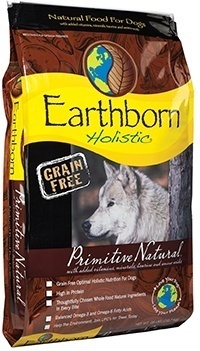 This high-quality dog food from Earthborn Holistic doesn't contain grain or gluten. It's designed for easy digestion and health support. It has a high amount of protein that comes from turkey meal, chicken meal, and whitefish meal. To add flavor, the manufacturers added natural chicken fat. A variety of vegetables like carrots, peas, and spinach can provide your pooch with all the vitamins and nutrients they need. Additional fruits like apples and blueberries incorporate antioxidants into their diet. Made for dogs that are over the age of 7, this dog food[ provides a balanced diet that's designed to keep your canine companion healthy. One way it does this is by providing your dog with plenty of antioxidants and vitamins to keep the immune system strong. These include Vitamin E, Vitamin T, and more. Chicken meal is used as the main protein source. The formula is comprised of many natural and high-quality ingredients. There are no artificial dyes, synthetic flavors, or chemical preservatives. 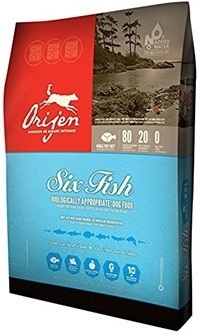 As the name implies, this dog food from Orijen is made from six different types of fish. In total, 11 pounds of fresh, dried, and raw fish are used. These include mackerel, herring, flounder, redfish, monk, and silver hake. For carbohydrates, the formula utilizes whole peas, lentils, and pinto beans. A healthy dose of greens like mustard, kale, and spinach provide plenty of vitamins and minerals while improving the food's digestibility. The formula is natural and utilizes mixed Tocopherols as the preservative rather than chemical alternatives. 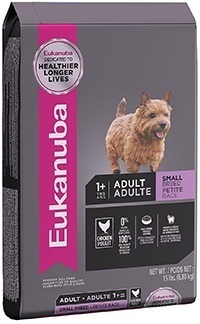 This formula from Eukanuba provides a balanced diet and plenty of additional health benefits. The main source of protein is lamb. It also contains chicken meal. To help promote strong joints and bones, the formula has naturally-sourced glucosamine and chondroitin. Ingredients like beet pulp and prebiotic FOS are used to create a healthy fiber system. It can help your dog digest the food properly and improve the process of nutrient absorption into the body. The food also contains Omega Fatty Acids to keep your dog's coat brilliant. How Should I Feed My Poodle? Healthy eating habits should be implemented at a very early age. Puppies will typically start to wean off their mother's milk at around 5 weeks. During this time, you can help your pup transition to kibble by mashing it up and soaking it in milk. At around 4 to 6 months of age, you can switch them over to standard adult dog food. While some breeds do well with free-feeding, it should be avoided with Poodles. These dogs are susceptible to bloat. To combat the potentially dangerous condition, you should separate their calorie requirements into multiple meals. At the very least, they should be fed two meals. Three meals each day can provide further protection from bloat and keep your dog energetic throughout the day. Poodles, like any other dog breed, have a basic set of nutritional needs. While most dog foods cover the basics, it's important to provide your dog with the best ingredients possible. A rich diet of high-quality ingredients will provide your pooch with the support they need to stay healthy throughout their lives. The most important ingredient you should be paying attention to is the protein source. Whether it's chicken, beef, or bison, the source of protein in the formula should be listed at the top of the list. This indicates that it's the most concentrated element in the bag. Protein can come from a variety of sources. The best options are wholesome and easy to identify. Regular meats and meat meals are both great options because they contain all the essential amino acids. One type of protein to avoid is a meat byproduct, which is typically made from slaughterhouse leftovers or even roadkill. Look for a food with a few different sources to provide variety. There's not a specific amount of carbohydrates that Poodles need. However, every dog food utilizes some form of carbohydrates in their formula. They provide fuel and energy. Complex carbohydrates like peas and sweet potatoes have a low glycemic index. They are absorbed into the body slowly, giving your dog plenty of energy to burn throughout the day. Simple carbohydrate fillers like corn and soy should be avoided. They burn off relatively quickly and can lead to a noticeable energy crash in the middle of the day. Not only that, but dogs often have a difficult time digesting these types of ingredients. While most people instinctively stray away from fat, it's actually a key ingredient for dogs. Fat provides a boost of energy. It can also be used to make the food more appetizing. With that being said, it's important to look for healthy fats. 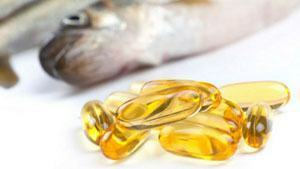 Natural fats from the protein source, fish oil, and flaxseed oil are best. Fish and flaxseed oil are a key source of Omega Fatty Acids. They can help to promote good heart health and healthy skin. With a Poodle's fluffy and sometimes unmanageable coat, Omega Fatty Acids are a must-have. Vitamins and minerals can provide a bevy of unique health benefits. They're found in various fruits and vegetables. An assortment of natural ingredients can provide Vitamin A, Vitamin K, Vitamin C, Choline, and much more. These vitamins can help to improve vision, metabolism, and fight oxidative damage. Many ingredients also contain calcium, which is important for developing strong bones. While you're scanning that ingredients list for beneficial foods, keep an eye out for unfavorable additives and chemicals. Many dog food manufacturers include ingredients to manipulate the taste or appearance of the food. Some are also used to prolong the product's shelf life. Chemical preservatives are quite common. However, natural alternatives like Tocopherols and Vitamin E are also available. When it comes to synthetic additives, steer clear of dyes, fragrances, and artificial flavors. The numerous ingredients in a dog food like fat and meat are more than enough to entice your pooch. Poodles are at risk for a few different health issues. Some plague the entire breed while others are more specific to certain size classifications. Either way, it's important to be wary of these issues and provide your dog with a high-quality food that may be able to treat or prevent the condition. This condition is often caused by the presence of a tumor growth. It can affect your dog internally by increasing their production of cortisol. Too much of this hormone can be dangerous, so it's imperative that you bring your dog to the vet as soon as possible. Some studies have shown that a change in the dog's diet might be able to help control symptoms. The condition often leads to weight gain and obesity, so it's a good idea to stick to a low-fat diet. The inclusion of antioxidants may also benefit your dog's health. Technically known as Hypoadrenocorticism, this condition affects the way endocrine glands produce adrenaline. Over time, the amount of adrenaline produced can drop significantly. The disease can have a serious effect on your dog's health and may cause death if left untreated. In addition to proper treatment methods from a veterinarian, studies have shown that cutting out undesirable ingredients from a dog's diet can improve their health. Ingredients like corn, wheat, and soy should be avoided. Bladder stones tend to affect Toy Poodles more than the other size classifications. They can form due to a number of reasons like bacteria or genetic disposition. While they may not be completely avoidable, you can help to improve your dog's overall kidney health by providing them with plenty of clean water. If your dog already has a bladder stone, you may be able to help dissolve it and alleviate pain by feeding them a formula that contains ammonium and carbon dioxide. This condition plagues Standard Poodles. 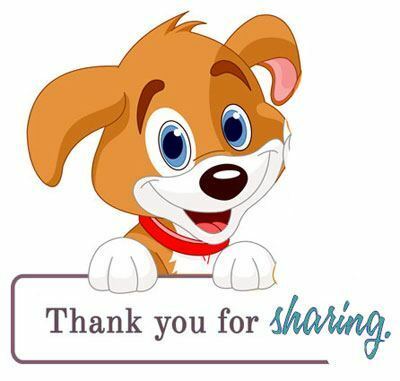 It's a painful issue that can affect the way your dog walks and plays. The hip sockets are misaligned, which can result in arthritis. To help avoid the condition and provide relief, look out for ingredients like glucosamine and chondroitin. They promote bone and cartilage health. Another condition that usually affects larger Standard Poodles, bloat can be very dangerous. It's can cause death if left untreated. As gas builds up in the body, the stomach can twist and rotate. While normal gas is avoidable, you can do your part to help prevent excess gas from causing bloat. To do ​this, separate your dog's meals throughout the day. Bloat is often caused by eating too much food in a short amount of time. If your dog eats fast, you may need to invest in a bowl insert that forces them to slow down. What's the Best Dog Food for Diabetic Dogs? 5 Foods you can use to Feed a Yorkie? Recommended Dog Foods for Great Danes? Best Dog Food for Fox Terriers?